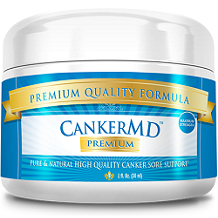 The following review of CankerMD will explore all the factors that contribute to the effectiveness of this product in providing immediate relief and efficient healing of canker sores in the mouth. Canker sores are known to develop during periods of stress, exhaustion, and in cases of nutritional deficiencies. The producers of this product state that this formula provides natural ingredients of a high standard that will soothe pain, heal wounds, and prevent the formation of canker sores in the future. This formula includes a number of essential ingredients that support nutritional deficiencies associated with wounds in the mouth. Vitamin B12, for example, plays a pivotal role in the functioning of the brain and nervous system as well as promotes the production of blood in the body. These benefits fight fatigue and lethargy which are prominent developers of canker sores. Aluminum Potassium Sulfate has antiseptic and astringent properties which heal sores by shrinking blood vessels in the mouth. One of the main causes of canker sores is a deficiency of Folic Acid. The inclusion of this beneficial substance is a positive selling point as it prevents the prominence of sores. The formulation of this product follows strict cGMP guidelines and products are tested in independent laboratories to ensure that they are of an exceptional quality. Studies have concluded that this clinically-proven formula provided canker sore relief among 74% of test participants, which is a high standard. There are clear instructions on how to use this product for best results. The manufacturer recommends keeping a pinch of powder in your mouth for sixty (60) to a hundred (100) seconds before spitting it out. This powder can be mixed with water and used as a mouthwash. It is advised that users do this two (2) to three (3) times a day to fight sores, or one (1) to two (2) times a week to prevent sores from forming. This product is made following strict cGMP guidelines which ensure that the formula is pure and of a high standard. As a result, there are no additives, preservatives, or artificial flavors which could induce negative side effects. The manufacturer does not note any negative side effects when using this product as recommended. This product is sold online through CankerMD. A single tub of powder can be purchased for $48 and should last up to one (1) month. There are additional discounts on bulk-buy deals which make the long-term use of this product cost-effective and appealing. The most popular deal is the ‘Buy 3 Get 3 Free’ option which can be bought for $138, meaning you save $270. This is a significant saving for those wanting lengthy relief from wounds in the mouth. The efficacy of this product is supported by a 100% money-back guarantee. This guarantee is applicable for 90 days and opened products are eligible for a refund. 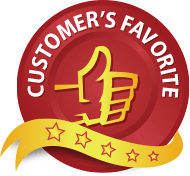 This lengthy return policy indicates confidence in the product’s ability to deliver optimal results and gives you peace of mind in knowing that you will not be stuck with a product that does not work. This formula provides an impressive list of all-natural ingredients that are clinically-proven to combat canker sores. The efficacy of this product is supported by a substantial money-back guarantee. Furthermore, the range of discounted purchasing options means that the long-term use of this effective product would not become extremely expensive. For these reasons, we recommend this product as a quality pain-relieving and sore-preventing mouthwash/powder.